Do not say I did not warn you in the first place. This post is quite disturbing and devastating. If you have not purchase the Microsoft Surface Laptop yet, then you must read thru this post and you will surely get a sigh of relief. Well, if you already had one in your hands now. Maybe it’s better for you to skip pass this post and enjoy your laptop. 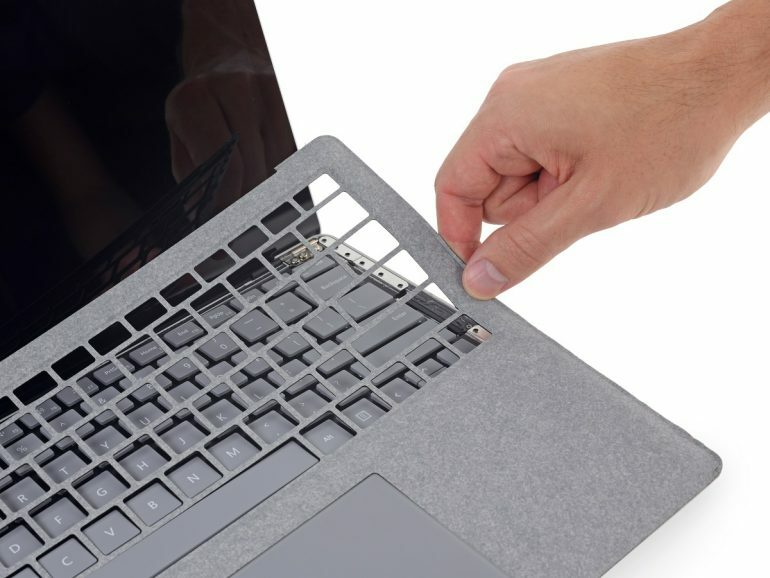 The guy from iFixit had managed to tear down the Surface Laptop. Given their skill set and expertise in tearing down stuff, this time they had tried on numerous attempt before successfully getting it done. But they can’t put it back! 0 Repairability score are given by iFixit. You can check out their post later on to find out why in details. Before it’s too late, you should get a cloud storage right now if you are using a Surface Laptop. From their find out, the 128GB SDD storage from Toshiba is soldered together with the motherboard. If anything happen to your motherboard, then all your data and files will be gone. So, for the safe bet. Get a cloud storage service, be it a free type or payable services. If you need recommendation, check out my own experience on Backblaze. Or you can just go to my homepage and find out more. Nevertheless, from my own humble point of view, just get a another laptop which are repairable. You are literally spending money on an expensive Buy & Throw away gadget if anything goes wrong with your Surface Laptop.